I’m back from my lovely weekend out of town but I’m totally zapped of energy. I’ve got a good comic in the works that I’m excited to share with you, but I want it to be done right so it might not be ready for a few days. In the meantime, contemplate your jellybean eating habits. 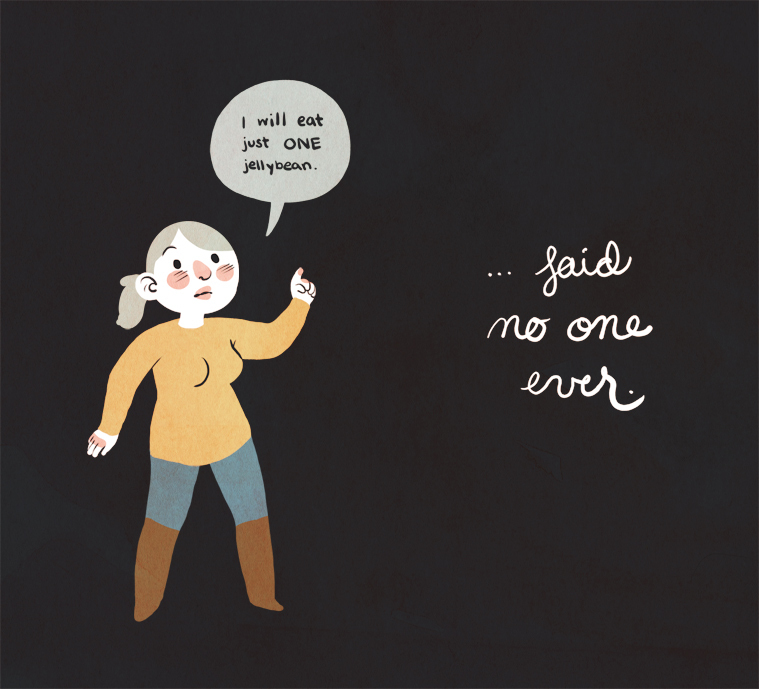 Consider the inevitable tummy ache after eating “just one”. Ponder the difference between the Berry Blue and Blueberry. And most importantly, pick around all the white ones.